Cultivating excellence is surrounding one’s self with people who strive for excellence. French Rosé got Muiris interested in wine and inspired him to get into the wine business. 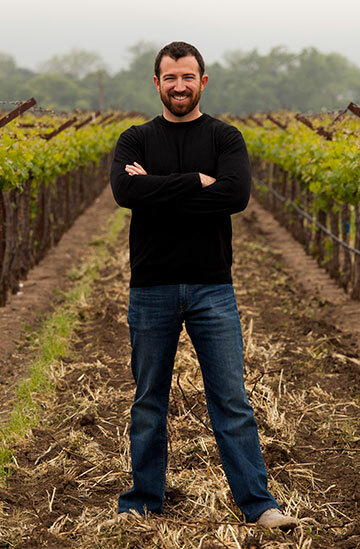 13 years in the wine business, and my first year in Napa Valley. Working for family friends in a small vineyard and winery in Penngrove. It was a tiny operation but I had the opportunity to run it all and do all aspects of it. It was a great starting point. French Rosé was what made me interested in wine in general, while studying in Montpellier, France in college. That was our beverage of choice and inspired me to get into the wine business. Michael Silacci at Opus One. I met him at ViniTech in Bordeaux in 2008 and then through that initial contact came to work for him at Opus One on the “maturity project” in 2009. His passion and dedication as well as comfort with sharing all of his knowledge is inspiring. He also has an ability to make work fun. Making wines that allow me to indirectly participate in the special moments of our customers’ lives. The constant search for perfection, when so many variables make it nearly impossible to recognize or identify the “perfect” procedure. To me, cultivating excellence is surrounding one’s self with people who strive for excellence and encouraging a sharing atmosphere where everyone can contribute and grow in every way. Our consistent climate allows us to reach a level of intense fruit flavors that is impossible to attain elsewhere. I would be a lawyer for a noble cause. Ernest Hemingway, Thomas Jefferson, and the first person to have tasted fermented grape juice. Get as much experience as possible in wine regions outside the Napa Valley. I am an Irish citizen with dual citizenship. My mom is first-generation Irish.